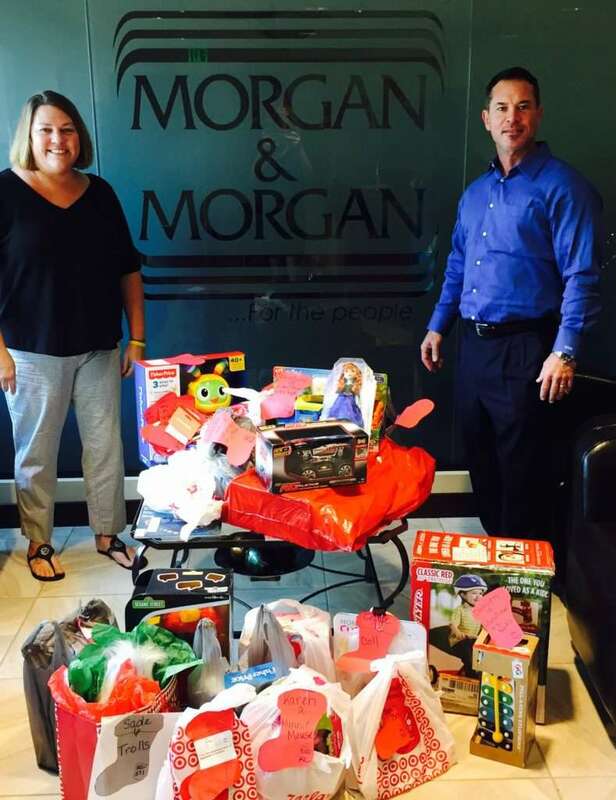 At Morgan & Morgan, we truly believe in the gift of giving. Although we organize charitable efforts all year around, December is an extra special month for us, and each of our offices go above and beyond to spread holiday cheer. This month, our Tampa and Sarasota offices decided to raise money and collect toys for the Guardian ad Litem (GAL) program (an organization with a very similar motto to ours!) by participating in an Angel Tree Holiday Event. You may be wondering what an Angel Tree is. An Angel Tree connects people who want to make a difference with at-risk children in need of a gift. Each ornament on the Angel Tree has the name of a child who will benefit from your charitable donation, their age, and the present they are wishing for most. 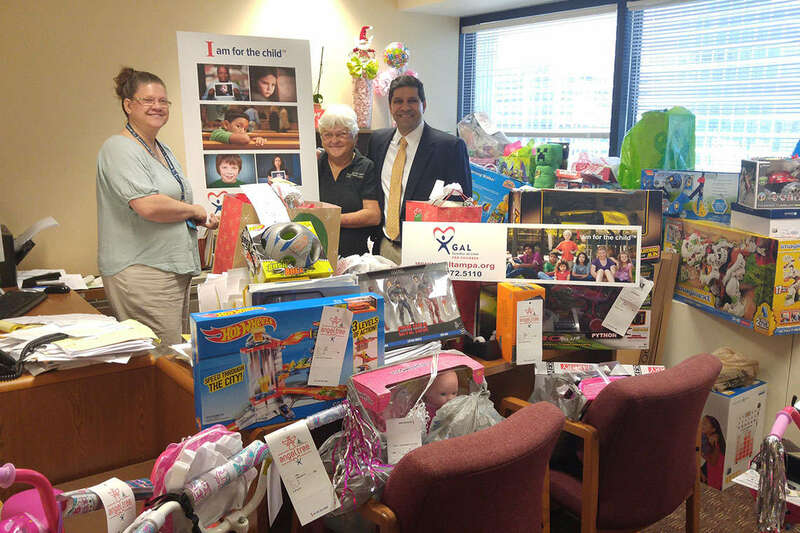 The Guardian ad Litem Program in Tampa organized an Angel Tree specifically for neglected and abused children who have been removed from their home and placed in foster care. We focused our charitable efforts on these children this year. Founded in 1975, the GAL Program in Tampa works to ensure every single child in the dependency court system has a trusted adult to represent them, and strives to find permanent and stable homes for kids in our city. Sadly, there are still over 1,300 children in Hillsborough County without a Guardian ad Litem to advocate on their behalf. If you want to learn more about the GAL Program or wish to donate to their valuable work, click here. In addition to the Angel Tree event, we collected $2,300 in donations for GAL from employees who participated in our casual Friday this month. We donate $5 each to wear jeans to work, all while supporting a good cause in our community. This effort was coordinated by our employees Marlene Henderson and Maureen James, but we couldn’t have done it without the hard work of our entire staff. We couldn’t think of a better way to close out 2016 than collecting toys and funds for the thousands of neglected children in the Hillsborough County foster care system. We look forward to helping the people, not the powerful, both in and out of court in 2017 and we wish you and your family a Merry Christmas, Happy Holiday, and wonderful New Year!